An outcrop of the familiar Forex trading system is the day trading version. Intraday Forex trading strategies offer the experienced Forex trader an opportunity to build wealth quickly, often with double digit returns. 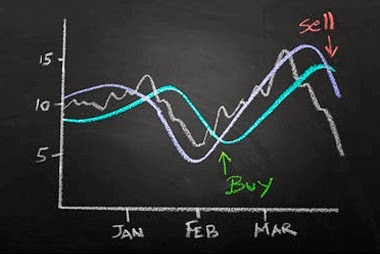 One Forex trader with years of experience as a former inter bank Forex trader at a major Canadian Bankhas built a flexible Forex day trading model using a responsible risk management policy. This differs from the average Forex broker or asset manager as it avoids basing profits on a trending Forex market. As most Forex traders know, exit and entry strategies are not dependent only on price. Other aspects, such as market sentiment, the time and location the trade was placed as well as social and political factors, weigh heavily on the outcome of each and every trade. An experienced Forex trader is familiar with trading strategies and can use a choice of financial indicators to manage each trade’s risk/reward ratio. He can judge when to enter and exit a trade by utilizing the tools available to him, hopefully reducing his risk of loss. Forex brokers use different trading strategies, offer varying leverage use and follow numerous platforms. Many offer a variety of asset classes that include major equity indices, gold, commodities and more. Forex trading should be used for only a portion of an investor’s total portfolio. Diversification is always the best tool for ensuring a balanced account.